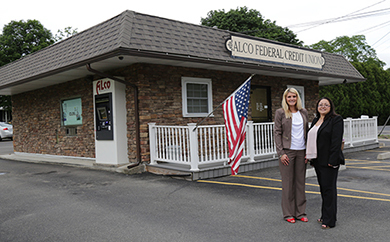 The Alco Federal Credit Union is a local financial institution, existing to provide personal financial services to its members. Like all credit unions, management is by a Board of Directors made up of persons democratically elected from its membership, by the membership. Board members volunteer their time and effort to ensure the highest standard of services possible to members of the credit union. Members pay less for financial products and services because the credit union is a not-for-profit organization owned by its members. Earnings above our operating expenses and reserves are returned to the members in the form of lower cost loans, higher yields on deposits, convenient offices and access methods and lower (if any) fees. Each year at our annual meeting, members elect volunteers to fill positions on the board of directors. One member, one vote — Democracy in action. In addition, once a member, always a member — even if you leave your current employer or relocate to a new area. 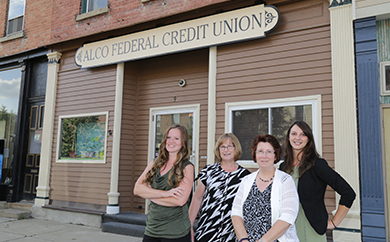 Our commitment to you is that we will continually find ways to add value to your credit union membership. 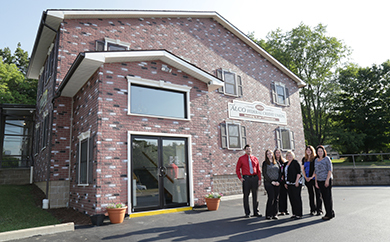 The more you use Alco FCU services, the more you will save. 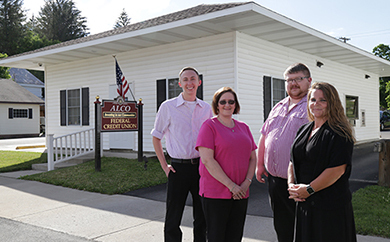 Membership is available to all persons who live, work, worship or attend school in, and business and other legal entities located in Allegany County, New York. Also included are spouses of persons who died while within the field of membership of this credit union, employees of the credit union, volunteers in the community, members of their immediate family or household, and organizations of such persons. Our Credit Union is dedicated to providing our members with quality financial services at competitive rates, while still maintaining long term financial stability.